Racial justice is at the forefront of all of our work at the YWCA. YWCA’s programs are designed to address inequities, gaps, and disparities created by institutional and structural racism. Through our policies, practices, and values we strive to promote equity, inclusion, and diversity at the YWCA and throughout our community. We also support local, state, and national initiatives that contribute to the elimination of racism. Voter engagement, especially among marginalized communities, is an important part of our advocacy work. YWCA Asheville has a long history of voter registration drives, hosting candidate forums and voter education. As a member of the Voter Engagement Coalition, the YWCA is committed to registering voters, collecting “pledge to vote” cards and keeping voters informed during municipal, county, state and federal elections. 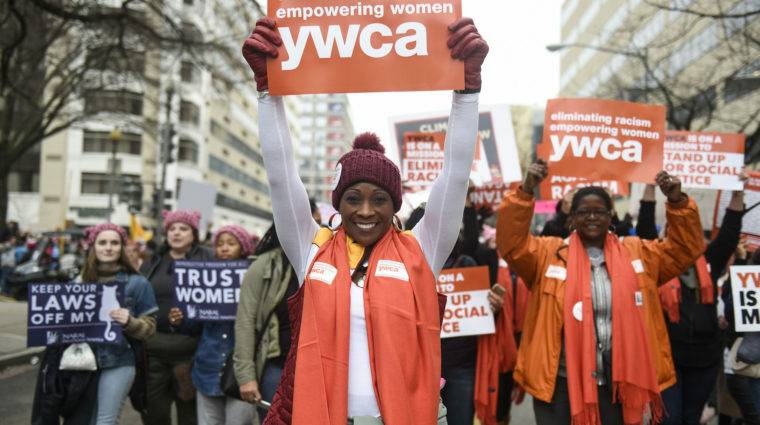 YWCA USA is on a mission to register 10,000 voters for the 2018 mid-term elections. And we believe that change happens at the local level. That’s why YWCA Asheville is working with 200+ YWCAs across 46 states to help build political power in our communities and Get Out The Vote! Learn more at YWCA USA. North Carolina is one of three states chosen to pilot the YWCA Statewide Advocacy Initiative. The YWCAs of North Carolina includes leaders from our sister YW Associations – YWCA Asheville, YWCA Central Carolinas (Charlotte), YWCA Greensboro, YWCA High Point, YWCA Lower Cape Fear (Wilmington) and YWCA Winston-Salem. We aim to become a unified voice in identifying, addressing and advocating for the communities we serve across the state. The YWCAs of North Carolina will focus our collective efforts on the unjust treatment and criminalization of people of color in our communities. We believe that when community members come together, we can come up with solutions that benefit everyone and create safer communities for all. The YWCAs of North Carolina 2018 Advocacy Agenda was adopted after seeking input from over 500 community members and partners. 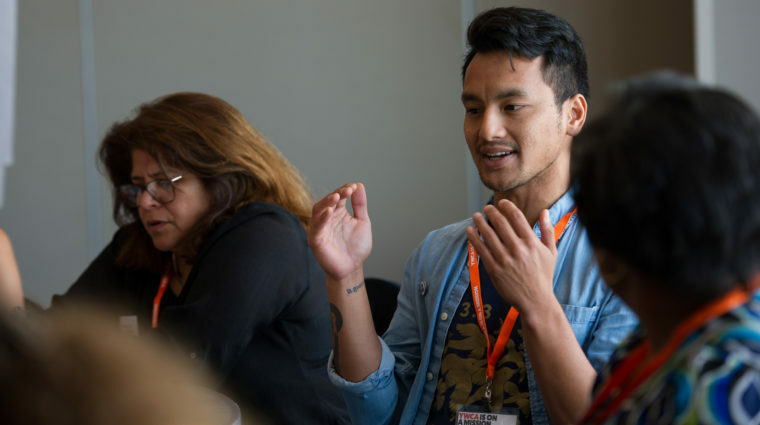 The YWCA of Asheville is a proud member of the Racial Justice Coalition in Asheville, which includes fourteen organizations working to become a national model for best practices and improved police-community relations. One of the most influential initiatives the Racial Justice Coalition has spearheaded is the revision of the Asheville Police Department’s use of force policy. A community working group convened with the police department to revise the policy, which emphasizes de-escalation and accountability – holding officers to a higher standard than the North Carolina statute. The Asheville Police Chief has committed to training all officers to the new policy standards. Additional training on crisis interventions, body-worn cameras, implicit bias and use of tasers will be completed by the end of 2017. We are hopeful these measures will reduce incidents of violence – specifically within our black and brown communities who are disproportionately impacted. The Racial Justice Coalition includes representatives of organizations in Asheville and Buncombe County dedicated to racial justice. The Racial Justice Coalition comes together in the commitment to racial equity and to advocate for the rights of people of color. The Racial Justice Coalition includes: ACLU of WNC, ABIPA, Asheville-Buncombe Branch of the NAACP, Asheville City Schools Foundation, Building Bridges of Asheville, Carolina Jews for Justice/West, Center for Diversity Education at UNC-Asheville, Christians for a United Community, Democracy North Carolina, Eagle Market Streets Development Corporation, Elders Fierce for Justice, Mountain People’s Assembly, and YWCA of Asheville and WNC.